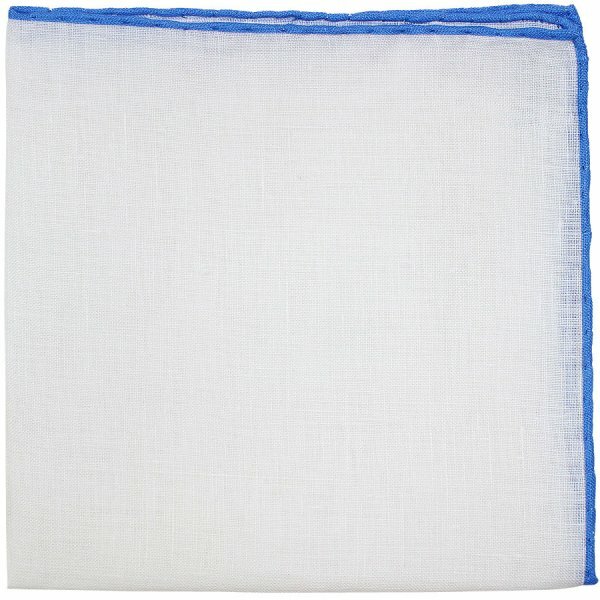 Product information "Irish Linen Shoestring Pocket Square - White / Blue"
A white linen pochette with light blue border – one of the most versatile pocket squares a man can own. Goes wonderfully with suits in blue, grey, brown and always looks good with a light blue shirt. Serving suggestion: charchoal suit, white shirt, bordeaux tie, herringbone socks, navy braces, dark brown oxfords; or, a little more sportive: blue jacket, blue/white striped shirt, rust tie, repp braces, beige chino, grey socks, suede derbys. Related links to "Irish Linen Shoestring Pocket Square - White / Blue"